PR Daily’s 2018 Content Marketing Awards winner in the audio storytelling category 2018 EXCEL Award Gold Winner Podcast What follows a home fire? One complete story, beyond statistics. Seven people die each day from American home fires, and another 13,000 are injured each year. However, there are ripple effects to fire that the statistics don’t explain and the nightly news rarely covers. You’ll likely see the immediate flames and destruction from a home fire on TV, but rarely do you see what happens to the many people impacted by fire one year, two years, 10 years after the incident. Who are these people and what is their new normal, now that the normal they were once used to is gone? You’re about to get a powerful look at the lingering effects of fire in America. 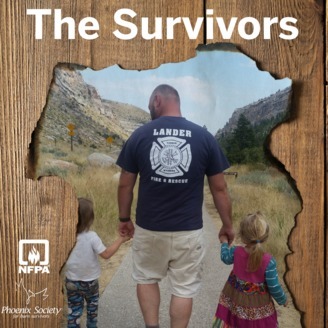 The National Fire Protection Association presents The Survivors, a multi-part podcast series that takes an extensive look at Wyoming resident Feike van Dijk, his wife Noelle, and his family. In 2014, they experienced the unthinkable when a home fire killed two of their children. 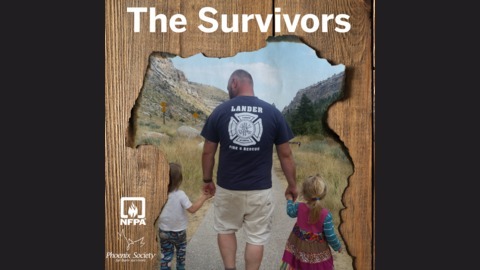 The van Dijk’s and other survivors want their experience to be the catalyst for the inclusion of fire sprinklers in all new homes. However, a powerful group has spent serious dollars preventing that from happening.